The secret, sacred ritual where whatever the sin, its details remain in the confession box and between the priest and the confessor. For Catholics this is the most important time of the year, Lent. A few weeks ago to mark the start of Lent, the priest placed ashes on the foreheads of worshippers as a reminder of their mortality and the need to examine their own conscience. We come from dust; we return to dust. 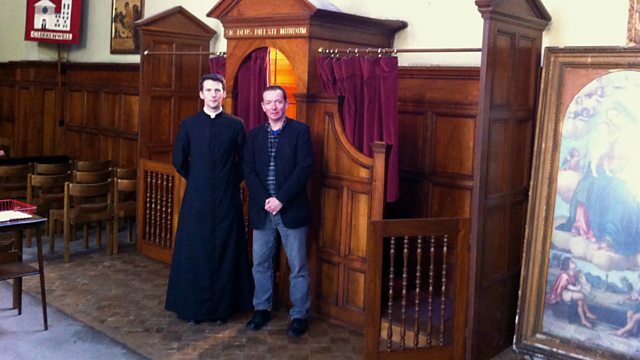 In Heart and Soul, Mark Dowd admits that is some time since he last asked for forgiveness in the confessional for his sins, he is not alone, its estimated that only a very small minority of Catholics in the US regularly attend confession, this secretive, sacred ritual where whatever the sin may be, its details remain in the confession box and between the priest and the confessor. Mark meets Alonso Andino, from Ecuador who tells him why he regularly confesses his sins. “I go every week without fail. It is such a weight off my shoulders to try and make an honest assessment of my life and to know that through God’s mercy, I am forgiven. It is a most beautiful thing,” he tells him. Is confession just a get out of jail card allowing sinners to wipe the slate clean and giving them license to sin again until it’s time for the next confession? Mark argues that this is missing the point and the Catholics must take a “firm purpose of amendment”, that there must be genuine contrition and not an empty promise of regret, the heart requires a kind of broken-ness to remake ourselves. Confession is one of the deep mysterious parts of the church, that requires a special relationship between God and the penitent, as Mark Dowd explores the act of confession, he considers giving more time to the act of confession, reflection and self-examination.